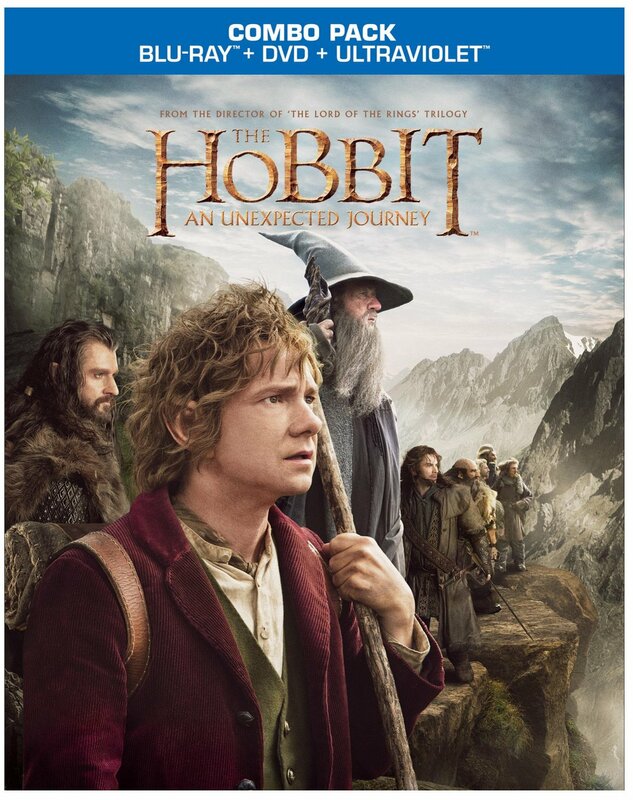 First, let’s talk a bit about the feature…An Unexpected Journey covers approximately the first third of the book, up through the Gollum and goblin fights. From my own memory I thought it covered a lot more of the book, but it really is about a third. And it holds pretty true, at least from my memories of the book, which are probably about 15 years removed. It does start with a link-in to the Lord of the Rings trilogy, in the form of the older Bilbo (played Ian Holm again) writing in the Red Book, while explaining to Frodo (Elijah Wood) about his big adventure, showing events that took place just prior to his birthday party but weren’t shown in the The Fellowship of the Ring. This serves as a gateway in to the story using the familiar characters, and then flashes back to the younger Bilbo (now played by Martin Freeman), just before he is about to receive quite a few unexpected visitors. Could the cult favorite SF kids show Captain Power and the Soldiers of the Future, known for having a deep, intense stories despite being seen as a toy marketing gimmick, make a comeback 25 years since it debuted in 1987? It seems so, as the people involved spoke with the folks over at io9. The new show, however, will be a more adult-oriented 60-minute show, compared to the original 30-minute kids show. Long time readers of Sci-Fi Storm are probably already asking – is J. Michael Straczynski, who wrote many of the most memorable episodes, involved in the show? Apparently not, according to producer Roger Lay, who says that JMS told him and other producers that’s he’s happy with what he’s already done with the show in the 80s. JMS was always the biggest cheerleader for the show over the years, being involved in the [asin=B005OZJE8K]DVD release[/sfs] in 2011, and outlines a trilogy of feature films, but the producers didn’t want to go that route, and JMS wasn’t interested in going back to the episodic format. But anyways, this has the potential to be a great SF show, and they’ve already got a script from the team of Judith and Garfield Reeves-Stevens (Star Trek: Enterprise, Primeval: The New World) and they’ve begun shopping it around internationally, with at least one network very interested. We could see a new Snake Plissken soon…Studio Canal is partnering with Joel Silver’s Silver Pictures to come up with a new take on John Carpenter’s Escape From New York story and it’s convict-turned-hero character played by Kurt Russell, which became a cult classic in 1981 and had a 1996 sequel, Escape From L.A.. According to Deadline, the new version is expect to be expanded into a trilogy starting with an origin story (we assume of Plissken), and Studio Canal will fund development before shopping for a studio. New Line attempted a reboot several years ago, and had several actors under consideration for the role of Snake, including Gerard Butler, Jeremy Renner and Tom Hardy, but let the rights lapse back in 2011. It’s too early to attach any actors at this point. Excitement is building up for the third season of HBO’s Game of Thrones…check out the TV trailer below! And if you’re not caught up…I’ve added a Game of Thrones section to our Sci-Fi TV Store for the Season 1 and Season 2 Blu-ray/DVD releases – and I’ve also added links to Amazon Instant Video as well so you can watch it online!